Basilico Ristorante, known for hand-made pastas and traditional Italian fine dining, has recently added aperitifs, digestives, liqueurs, and a couple of cocktails to its menu. Until now, the restaurant has had an extensive wine list to pair with your Pappardelle in Wild Boar Sauce, but has not been able to serve a Martini or glass of Limoncello to cap off your meal. Owner Giampaolo Falchetti, who purchased the restaurant from friends in 2015, had gone back and forth about whether to add liquor, but he finally decided to take the leap “when I was back in Italy this year and visited Venice.” It brought him back to his days in college in Venice, walking around the city, grabbing a traditional Venetian Spritz before dinner. “The Spritz is just fun,” Falchetti says. “You don’t see it often around here. 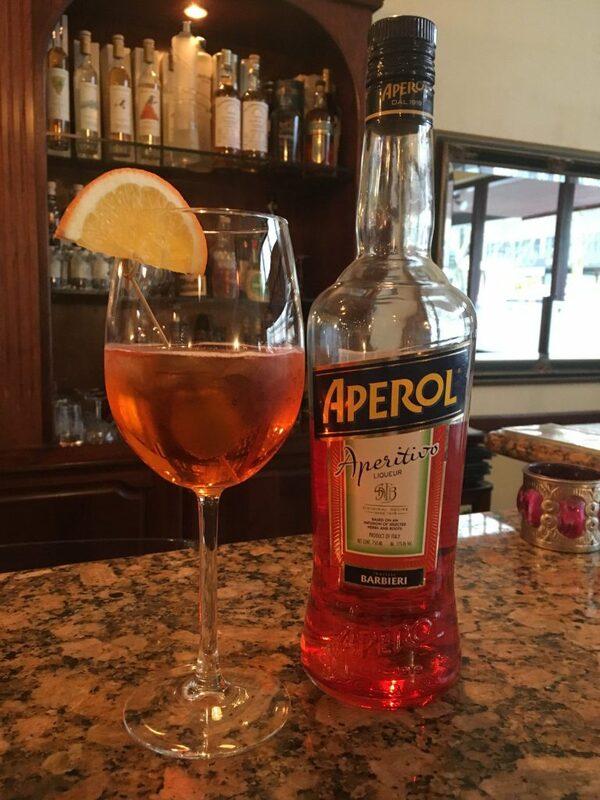 It’s a nice balance of aperitif: a little liquor, a little sweet, and it doesn’t numb your palate.” A Spritz is a fizzy, bittersweet beverage made with Aperol or Campari, some Prosecco, and a splash of sparkling water. It is traditionally garnished with olives. On the list of liqueurs and digestives, you will also find a varied selection of grappa, a liquor made from the left-over grape skins and seeds from crushing wine, traditionally taken as a shot after a filling Italian meal. “We selected several high end grappas that have been aged and mellowed a long time, so you can tell they are strong, but they won’t burn as much going down as some of the more common grappas,” Falchetti says. For people who are feeling adventurous, the serving staff is always ready to give advice on whether to try an Amaro Cynar, or a Nocino liquor. And, Falchetti is enjoying the adventure of incorporating this new service into his restaurant.